Sewing cards are not only fun for kids, they also develop eye-hand coordination and teach a practical skill that can be used throughout life. I made these simple sewing cards for my 2½-year-old grandson, choosing basic shapes and primary colors to further enhance his learning. I’ll post a full tutorial when I have more time but here’s the basic instructions. Cut the fabric or paper to 8 inches square. If using fabric, fuse iron-on webbing to the back of each square following manufacturer instructions. Fuse the fabric or glue the paper to the cardboard. Draw your shape on the back of the cardboard and cut it out. Punch holes all the way around the shape, about ½ inch in from the edge. Cut a piece of yarn and tie one end to a hole. Wrap the other end with a small piece of tape or tie on a plastic needle. That’s it - your sewing card is done! Pretest the hole punch on the cardboard to make sure that you can actually punch holes. After punching several sewing cards, I had to turn punch duty over to my hubby. 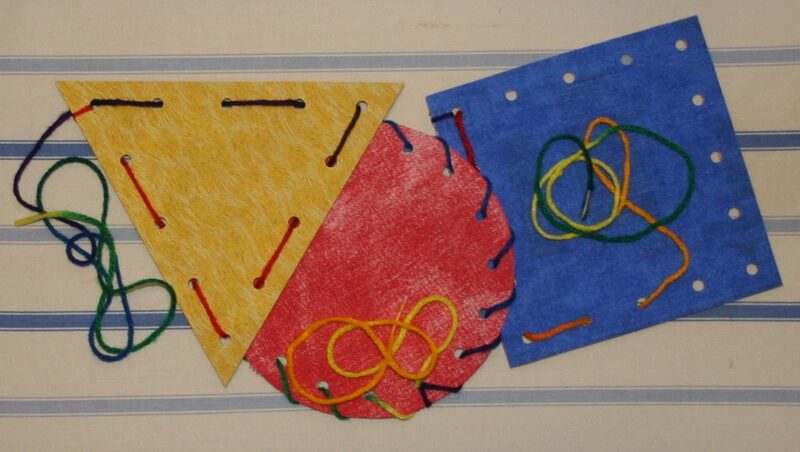 Use plain paper on one or both sides of your sewing cards and let the kids draw pictures and color them. 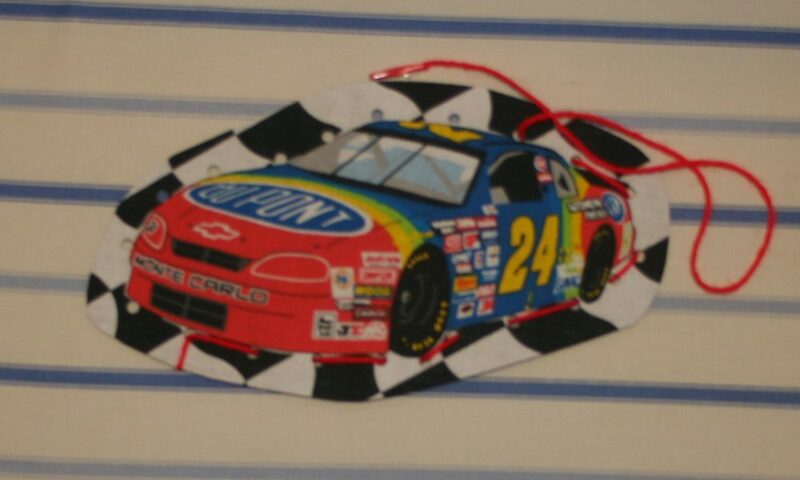 I also made a sewing card for the little guy with a racecar cut from fabric. Which do you suppose will be his favorite? For additional ideas, check out some other simple sewing projects for kids. Welcome to QSK - your source for fun and easy quilting and sewing projects and ideas! Browse around for a variety of simple projects and cool ideas. Please note: ads and links to products featured in posts may be affiliate links. Cute patterns for baby, mom and home! Great Quilt Projects Every Month! Crayon Quilts are a Great Project for Kids! HUGE Sale on Craftsy Classes! Copyright 2010-2013. QuiltingandSewingwithKids.com. All rights reserved. Ethereal theme. Theme images by Ailime. Powered by Blogger.